“Positivity” tops my Strengths Finder test. So I like to celebrate—often. But does celebration fuel progress? Will it produce greater results? From my experience, yes. It does so by bringing three powerful byproducts to you and your organization, all of which are vital for growth. 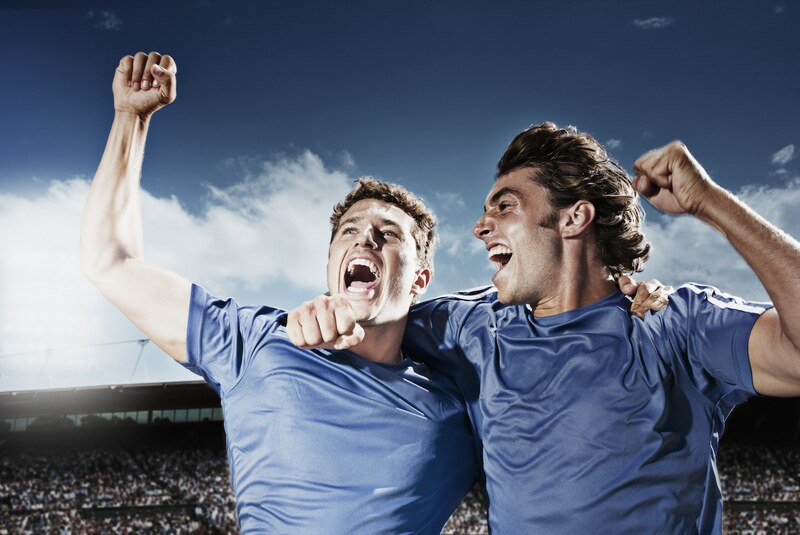 Purposeful celebration brings an energy to your team, and that energy will directly impact the performance they deliver. It feels good to be acknowledged. And it doesn’t take much. Sometimes it’s just a pat on the back or thumbs up from the right person at the right time. Heck, just look at our “social” behavior online. How many times have you posted a picture, video or message on any of the social platforms like Facebook, Instagram or YouTube… only to be eagerly waiting to see if anyone “likes” it? Be honest. We’ve all done it right? Why? Because it feels good to be recognized. It feels good to acknowledged. It feels good to know that people are paying attention to what we’re doing. And we’re much more likely to do more of the things that feel good. For example, years ago while at university, I played on the soccer team. During my first year, we had a really good team. But we just didn’t “gel.” Furthermore, the coaches took a very “critical” approach to the way they coached the team. Their style was to find a mistake, share it with the team, and coach around how to avoid repeating the mistake in the next game. So after every game, no matter what happened (even if we won), we would hear about all the things that we could have done better. It sucked. By the end of their deconstruction of the game, we were completely deflated. It wasn’t fun, and by the end of the season the guys were drained. Worst of all, it showed on the field. Fast forward two years and the coaches started using a different approach. They started playing to our strengths. They started focusing on the things we were doing right and they began reinforcing them. And the locker room after the game was a totally different place. There were a lot more high fives and laughter, and our team chemistry was at an all-time high. I’ll tell you, as a player, it was far easier to repeat what was working than it was to avoid making mistakes (I’ll share why in a second, but there’s another point I want to share on this first). When we won, we started doing something unique. We had a song that we’d sing after every game. It was our celebration song. As soon as the game was over, the team would go to the center of the field and one of the guys would get picked by the other players to start the countdown to the song. Then we would all break down and start singing together. It became a moment that all the guys looked forward to. Eventually, the fans started joining in as well (at home games). It brought a whole different energy to the way the team showed up—both for practice and for the games. And despite our team “on paper” not being as skilled, we went on to win the National Championship two years in a row. I’m not saying the celebration was the only reason, but it sure made a difference. Celebration naturally creates a positive energy, and that positive energy transforms the way your team will show up. But there’s a big side benefit of celebration that few of us think about: Celebration brings clarity to what you want to see. Back to my soccer example. When the coaches were constantly critical, our heads were full of what not to do. But then we also had to think about what we needed to do to play better. So we had to think about things twice. First “avoid this.” Second, “do that.” And if there were multiple mistakes, you can imagine how mentally draining this would be. When you celebrate positive results, you immediately simplify things. It becomes “do more of this.” Period. Simple, right? That clarity makes winning easy. But here’s what this means for you: You need to decide what you want to celebrate. What are the few things necessary for you to win? In business speak, what are your key performance indicators, your KPIs? If you know what they are, great! But does your team? And are you reinforcing your KPIs by celebrating the people hitting or exceeding them? Are you celebrating in public so it gets reinforced for everyone? If not, that’s your homework. First identify your KPI’s. Then, communicate them with your team. Finally, reinforce their importance by publicly celebrating the people who are hitting them. The first year we won the National Championship, we actually lost our first game. And it wasn’t a narrow loss. We got blown out 6-1. It was a terrible way to start the season. Looking back, I think that’s when the coaches made the shift in their style. Somehow they knew if they went into the locker room and focused on all our mistakes, we’d be crushed. And that would be the end of the entire season. So while we players expected a lashing, our coaches were very calm. Instead, they shifted everyone’s focus to the next game. And that might not seem like much, but it was a critical leadership moment. We knew we screwed up. We didn’t need to dwell on what went wrong. We just needed the clarity to know how to move forward. Although we started the season with a loss, our next game we squeaked out a 1-0 win. Then the season started to take on a life of its own. We just kept staying focused on our next game. Before we knew it, one win led to another, and we had strung together eight in a row. And remember the “singing celebration.” Soon, we had fans coming to the game because it was such a “fun” atmosphere. Everyone loves a winning team. Plus, we were all over the school press. Professors started asking about our games in class. It felt like we were mini-celebrities on campus. All of which reinforced the things we were doing right. Soon, we had so much momentum on our side that we felt like we could actually go all the way. And we did! We finished the season 13-2-1 and won the first men’s soccer National Championship in our school’s history. Unlike sports, there’s no win/loss column in business. That’s why as leaders, we need to celebrate what we want to see more of because celebration is a reminder of the things your team is doing well. Don’t assume they know. Make it clear for them. The more they experience “winning,” the more confidence and belief they’ll have. Momentum is tremendously powerful. People are attracted to things that are on the rise. So in the beginning, identify your “wins” (even the little ones) and start celebrating them. Because celebration creates momentum. And momentum can carry your team further than any of you could imagine. We experienced this last year when we launched our company. It all started with the launch of our signature program called TRIBE. That launch was our “National Championship.” It was a huge success and far surpassed our goals. It created so much momentum that in ten months we went from zero to $6 million in sales. Furthermore, it helped us attract a tremendously talented team. That now gives us the ability to serve our audience on a whole new level. And just like with the soccer team, we now have people coming out of the woodwork to work with us—because everyone likes working with a winning team. 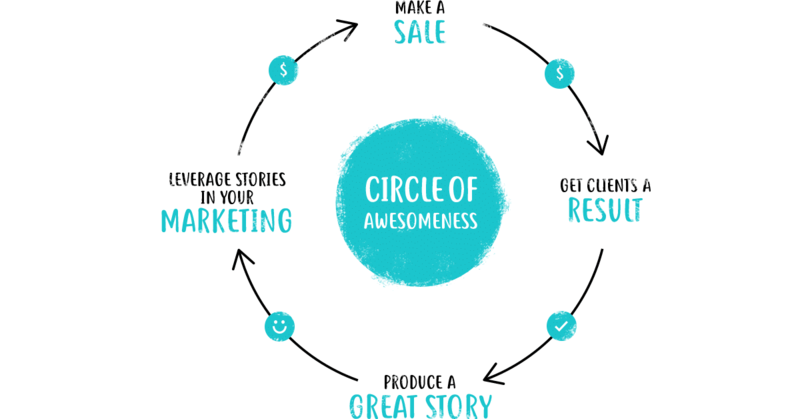 And we carry this same celebration philosophy through to our clients and customers with something we call “The Circle of Awesomeness”. We know that our company’s future depends on our ability to help our customers get the results they’re looking for. If we do that, we have a great story to tell. And by sharing customer success stories, we know we’ll attract even more clients. So we celebrate with our customers often. And each time we do it reinforces what’s necessary for our clients to get the results they want. So more people do it—and that leads to more results. It’s self-perpetuating. It’s easy to get caught up in the craziness of running or leading an organization. And when you’re moving fast, taking time to celebrate isn’t a top priority. But when you do, you’ll begin to experience all kinds of benefits—especially greater positive energy, clarity, and momentum, which will take you to even higher levels of achievement.